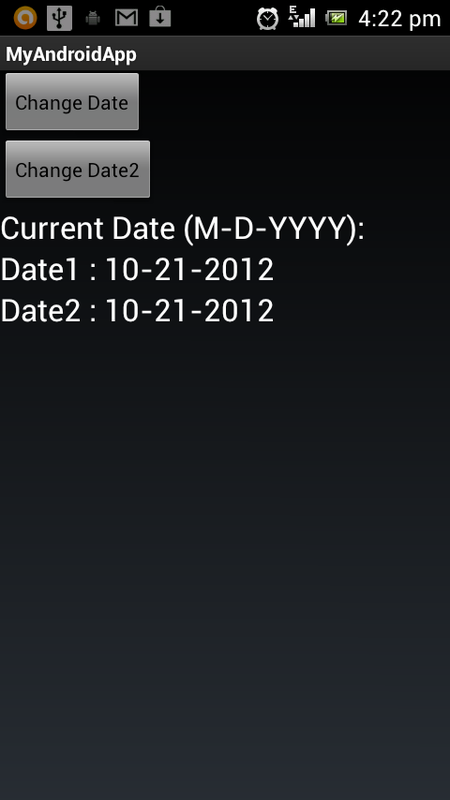 How to show two different DatepickerDialogs on same activity with only one listener function in android? 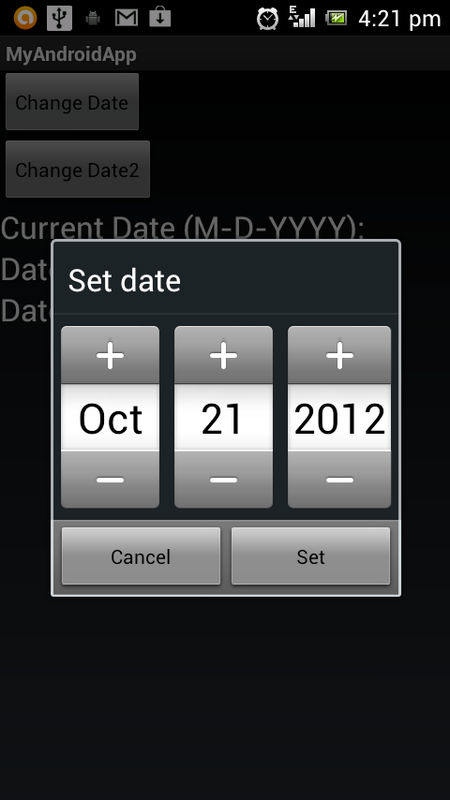 In android for each time picker Dialog we can associate with a dialog. So with this dialog and a global variable we can have any number of Dialog listeners. Here is the sample java code. // when dialog box is closed, below method will be called.